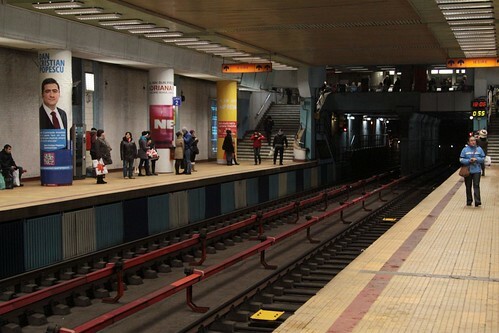 The metro system in the Romanian city of Bucharest is like most European urban rail networks, and uses a third rail to power their electric multiple unit trains. One half of the electrical circuit is formed by the third rail and a train-mounted pickup shoe, with the return path being via the train wheels and the running rails. 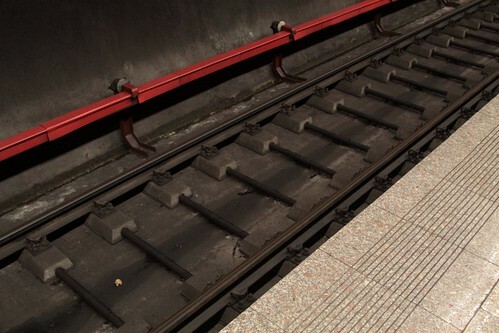 At stations the conductor rail runs opposite the platform for safety reasons, and for additional protection insulating panels surround the conductor on three sides. The setup mentioned above is a common sight, but on my journey around the network I discovered something odd – a miniature pantograph on the roof of some trains. Why would a railway mix two different ways of current collection? 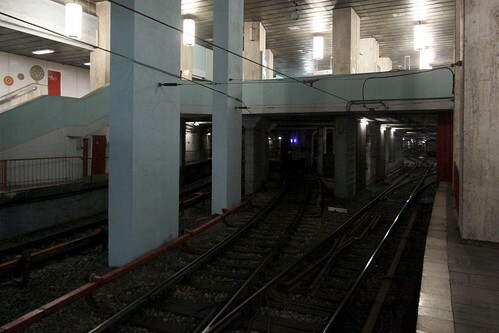 When I visited Gara de Nord station I found overhead wires strung over the tracks, and a possible explanation – the wired tracks lead towards a stabling siding. The metro train is powered from the third rail, laterally mounted to the running lines, via pickup shoes mounted on the bogie. 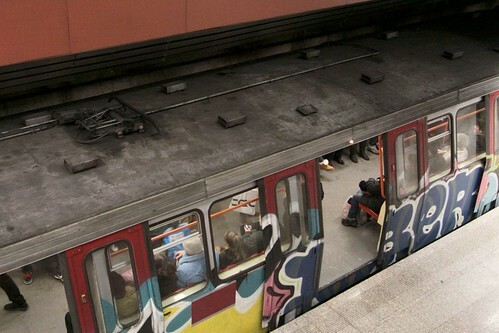 For manoeuvres in depots and stabling areas, the metro train is provided with a pantograph on the roof that allows running with a speed of 15 km/h. This entry was posted in Trains and tagged Bucharest, metros, pantographs, railway electrification, Romania, third rail. Bookmark the permalink.